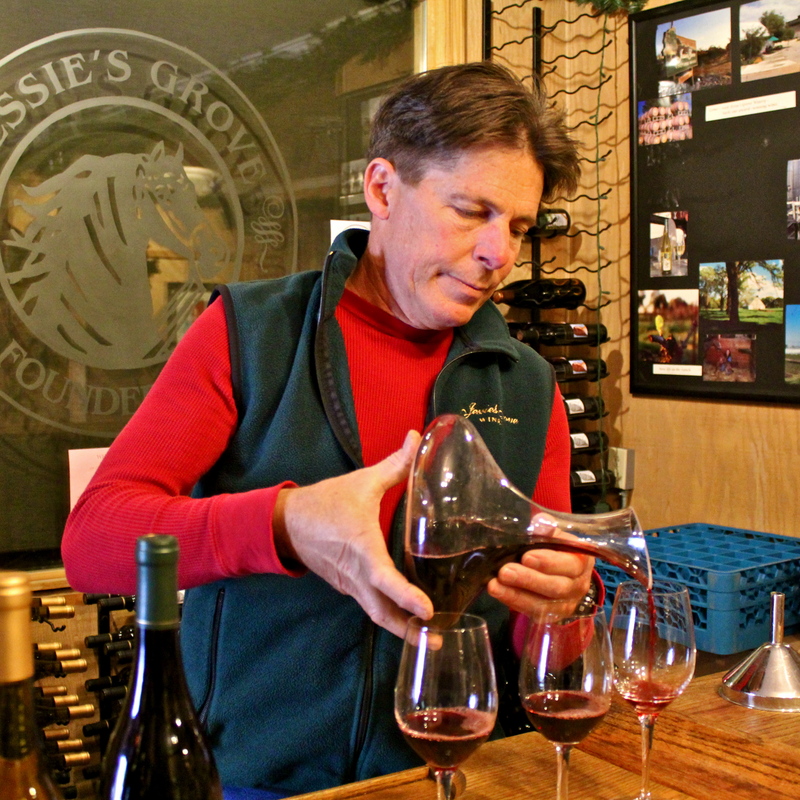 Is there no end to the originality and authenticity of Lodi as an American Viticultural Area? In fact, Burns’ Ancient Vine Tokay seems light as a feather floating on a spring breeze, with a lemony crisp balance to its sweetness, and fragrant white flower and lightly caramelized dried grape perfumes suggesting little girls in modest togas, dancing around a Grecian urn. 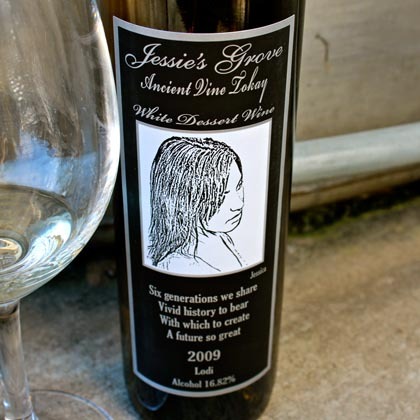 Here’s the incongruity of this recent innovation: this Jessie’s Grove wine is made from a grape that was one of the very first varieties, along with Mission, planted by Lodi’s earliest settlers during the 1850s. A grape that, for most of the twentieth century, was more widely planted than Zinfandel in the Delta; but by the current millennium, had all but disappeared from the region’s signature sandy loam soils (still called, out of abiding respect, "Tokay sandy loam"). Today, where Tokay plants still exist, they are cultivated more out of stubborn nostalgia, as family heirlooms in front yards, if not as misbegotten scrub – like a prince turned pauper, sprawled along sides of roads, barely clinging to life, wild and unkempt among scraggly weeds. 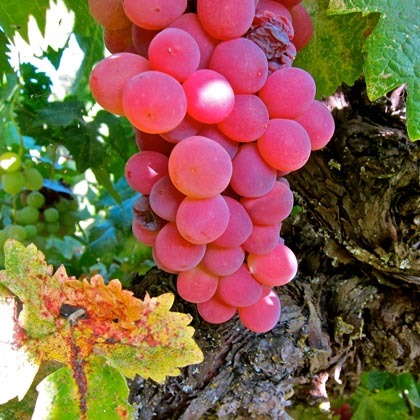 So let’s talk more about Lodi’s once and future grape: Tokay, also known as Flame Tokay. Although a member of the European family of classic wine grapes, Vitis vinifera, these hefty, plump berried, beautifully pinkish red grapes were originally cultivated as either ornamentals or for eating as table grapes – not so much for wine production. Ampelographers, i.e. scientists of the vine, are in agreement that Tokay probably originated in Algeria (where it is called Ahmer Bou’Amer). Once established in Northern San Joaquin Valley, it quickly became apparent that this Mediterranean variety is nearly perfectly suited to the combination of moderately warm summer days, cool summer nights, and rich yet well drained sandy loams of the region – particularly the area now officially recognized as Lodi’s Mokelumne River AVA. Plant Flame Tokay a little further north towards Galt or Sacramento, a little further east towards Amador County, or a little further south near Stockton or Modesto, and the skins of the grape simply do not ripen into its dazzling pink color, nor does its pulp retain its sweet, juicy, mouth watering taste. Tokay, it almost seems, was destined to be grown closer to the banks of Lodi's Mokelumne River, and in that part of the world only. 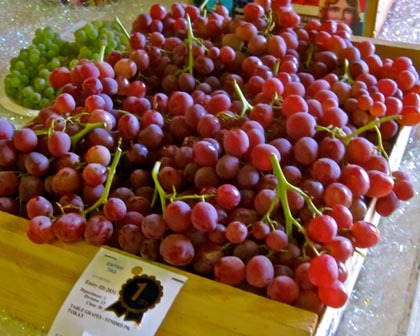 Subsequently, the grape evolved into Lodi's most widely planted grape between the 1890s and 1980s – until the arrival of the hybridized Flame Seedless grape, which proved to be far more easily grown, for much lower cost, further south in warmer districts of California's Central Valley. Soon after, Flame Tokay began to disappear in fresh markets; going the same way as old fashioned seeded watermelons. Towards the very end, during the 1970s and early 1980s, some of the region's giant co-op wineries specializing in brandies and sweet fortified wines continued to utilize Tokay in the production of spirits; but once the majority of American consumers developed a taste primarily for table wines, Tokay was no longer a viable grape crop. 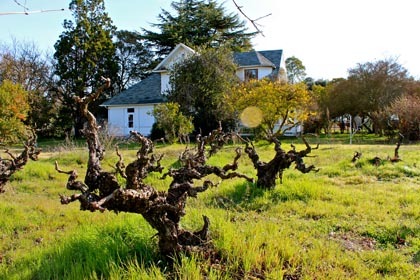 At the vineyard estate of Jessie’s Grove Winery, the head trained Tokay vines behind the home Joseph Spenker originally built for his family are some of the oldest plantings on the ranch, dating back to 1888. There are about 30 of these huge, majestic looking plants rising up beside the house, and another 35 or so of them inter-planted among the Zinfandel, Carignan and Mission grapes in Jessie’s Grove’s Royal Tee Vineyard just a hundred yards away – all dry farmed since the day they were planted, on their own natural rootstocks. Tokay has a long, rich history in Lodi. There are so few of them left – the grape has pretty much fallen off the radar. But because Tokay is so perfectly balanced and well suited to the appellation, and because of the maturity of the vines, with their thick, complex trunks, we still get grapes of tremendous quality from these ancient vines. 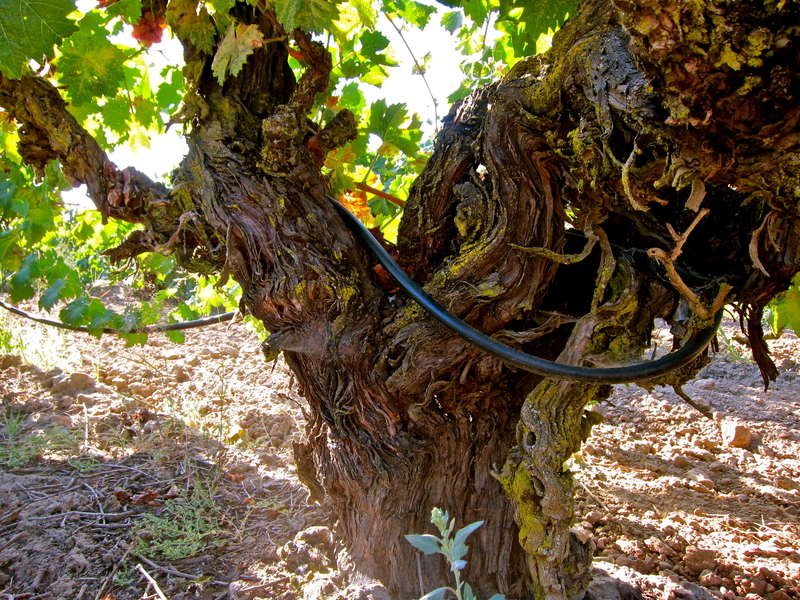 We keep them because you just can’t replant Tokay vines over 120 years old – once they’re gone, they’re gone forever. For years the vines behind the house and in the Royal Tee Vineyard produced table grapes for the family and crew. But we always thought the grapes were complex enough to stand on their own as a varietal wine, and so we came up with the idea of making a sweet Port style wine from them. The procedure is to whole cluster press the grapes, and then add spirits after they have fermented part-way, in the usual Port style. Our first vintage was the 2009, which we just recently bottled, and of course, it’s more of a lighter White Port style of wine, finishing at slightly less alcohol than traditional red Ports. Although the grapes are a deep pink color, the color of the fermenting juice was transparently white, and immediately began showing extremely pretty peach nectar-like qualities. We aged it two years in neutral barrels, where the color turned from white to a light gold, and the flavors increased in complexity from a simple peach to an intense, caramelized richness. We’ve also made Ancient Vine Tokays in 2010 and 2011, which have been progressing the exact same way as the ’09 in the barrel. We managed to produce a total of three barrels in 2009 and five barrels in 2010, but we were back down to just three barrels in 2011. The label shows a picture of my 25 year old daughter Jessica, the great great granddaughter of Jessie, and one of only three kids representing the sixth generation of the Spenker legacy. Jessica is currently living in D.C. pursuing Master’s degrees in both Public Policy and International Policy. I think of the Ancient Vine Tokay as a fitting tribute to Lodi’s past, which is very exciting to me. I like that Tokay has had a dominant place in Lodi history, preceding even Carignane and Zinfandel. Like Carignane, Tokay has fallen out of favor, all but completely forgotten. But to me, it also symbolizes the resurgence of Lodi. Our reputation is at an all-time high not just because of the value of our grapes, but also because we have learned to become better stewards of the land – custodians of our ancient vines. As time goes by, the aging Tokays become more and more important to all of us. Lodi’s time may be now, but being a winegrower here is also a blessed opportunity to preserve what we have for future generations, just as Jessie sought to do for us three generations ago.